Imagine…taking in a breeze from New England Pines. This light, fresh scent will remind you of walking through a pine grove. Hard milled and moisturizing, it will last in your soap dish without dissolving and leave your skin feeling soft. 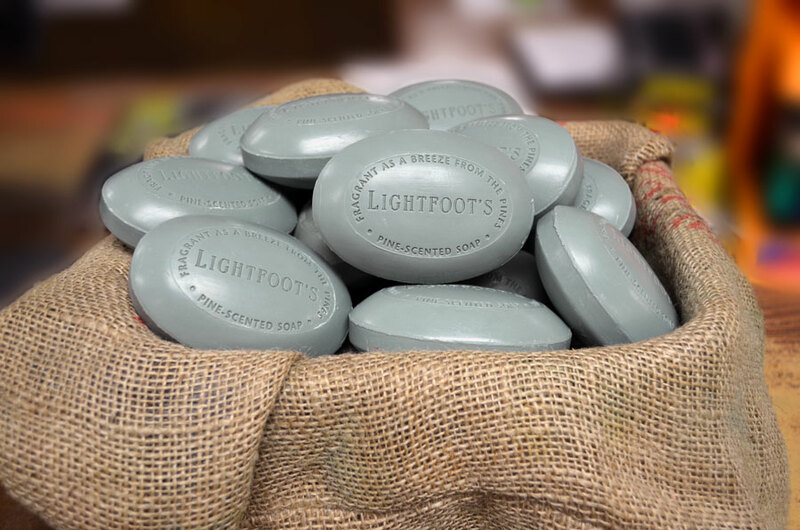 Made right here in Rhode Island, Lightfoot’s Pine Soap is produced by one of the oldest soap makers in the country! Kenyon’s Grist Mill is the premier national distributor for this natural product.